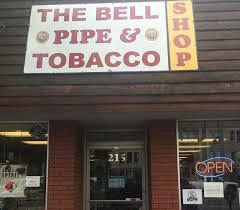 Today, the Missoulian visits with The Bell Pipe and Tobacco Shop, one of our community's cornerstone businesses. Here's what we learned in a Q&A with the shop's owners. Give a brief (100 words or less) history of how your business started. Larry Bell opened The Bell Pipe and Tobacco Shop in 1961, sold fishing licenses, greeting cards, cigarettes and machine made cigars. Tell us a little (100 words or less) about the founder of your business. Larry Bell started The Bell Pipe and Tobacco Shop and when Larry retired his son took over the business. Mark and Betty bought the business from the son and ran it until they sold it in 2009. What is the key to your longevity as a Missoula business? Providing quality products and having a location in downtown Missoula. What is the biggest event that’s ever happened in your business’s history? Mark & Betty convinced Otis to buy the shop from them in April 2009. How has your business changed, or evolved, over the years? The Bell Pipe and Tobacco Shop went from selling fishing licenses, greeting cards and cigarettes to having the finest hand rolled cigars in the largest walk in humidor in the state of Montana. The humidor has a plumbed humidification system. Tell us a little (100 words or less) about your current business and its employees. Currently we sell top brand smoking pipes with many flavors of pipe tobacco, cigarettes and premium hand rolled cigars. Ivy has been working at the store since 2009. Continue doing what we have done for the last 50 years.